You are here: Home / LifeTopix / Common Questions / Q. How Do I Keep Track of My Doctors Visits? 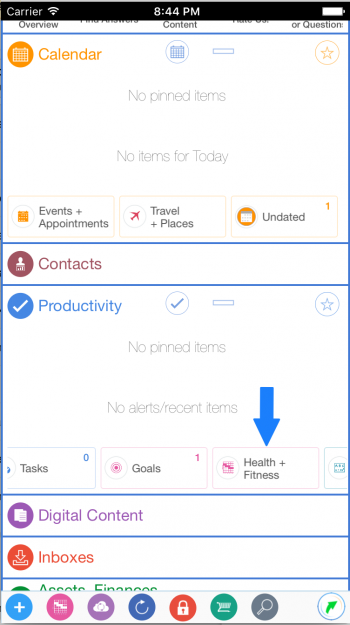 Step 1: From the Modern Dashboard, find the Productivity card and tap on the Health + Fitness tile. Alternatively, you can tap on the quick access icon and then tap on the Health + Goals tile. 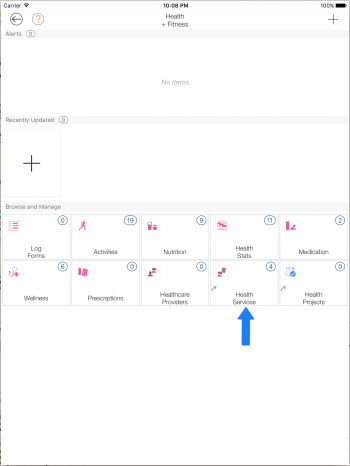 Step 2: From the Health + Fitness view tap the tap the Multiple Touchpoints tile and then select Health Services to manage your various doctor visits. On the iPad tap on the “Health Services” tile directly. 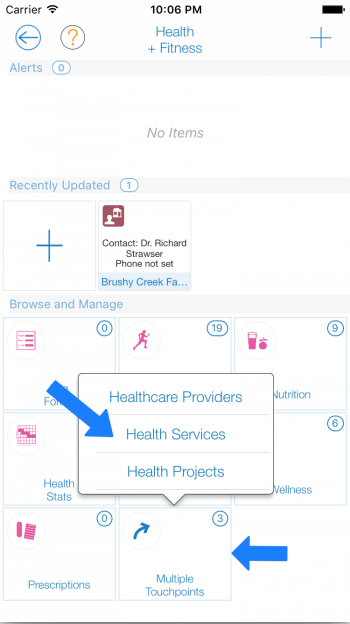 Step 3: In this view you will see a list of health services. 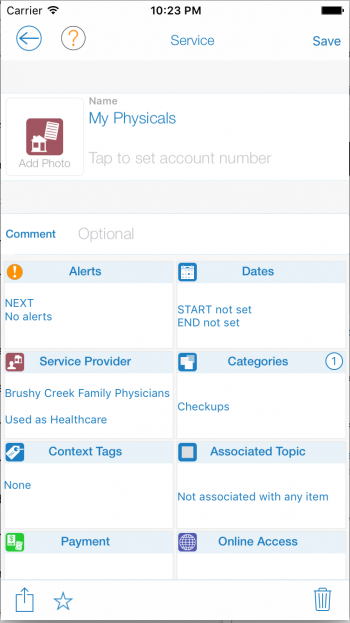 Tap on the + at the upper right of the screen (or tap “Tap to add a New Service”) to add a new health service. 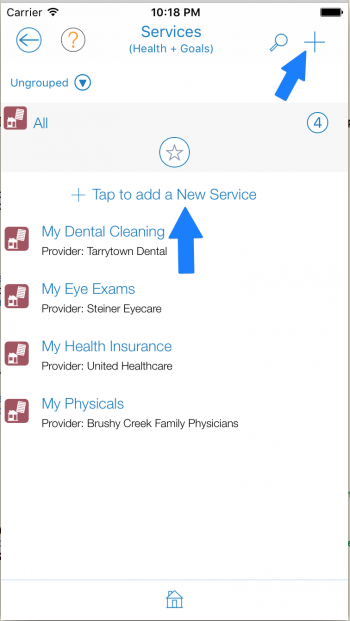 In the example below you can see health services for dental, eye, insurance & physicals. Tap on any of the health services to see detailed information about the service such as the healthcare service provider. 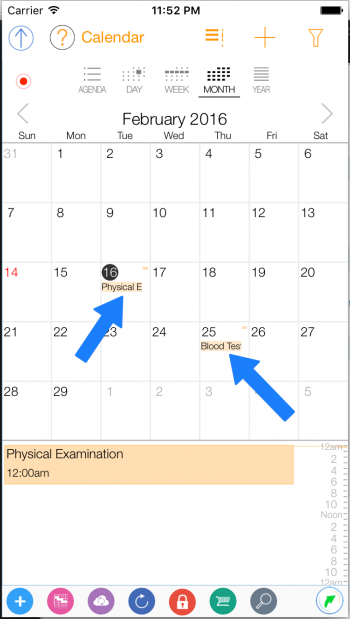 In this example, we will take a look at how physicals are tracked. 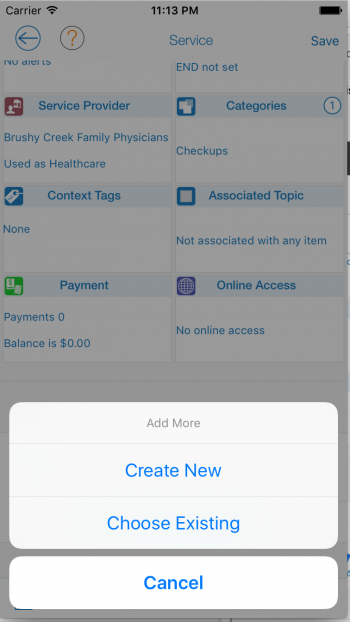 Step 4: Tap on the My Physicals entry to see its details. 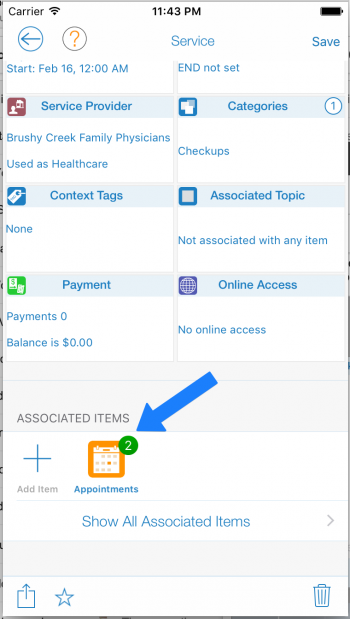 Here you can keep track of information related to your physicals such as the physician office (Service Provider), payments made, and access to any medical web portal (Online Access) that you may have. 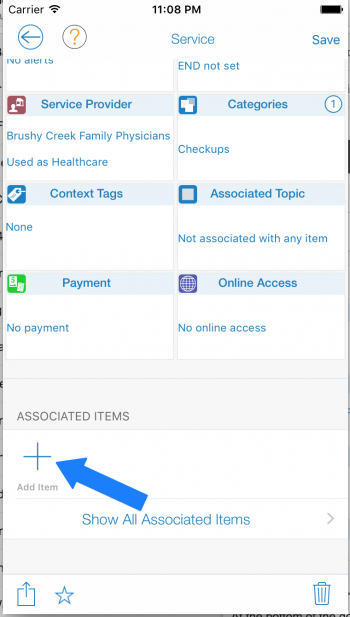 Step 5: At the bottom of the detail view you will see the Associated Items section. From here you can add a new appointment for your next visit. 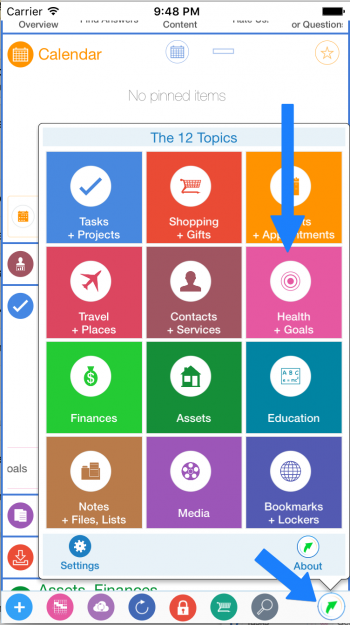 Tap on the + icon at the bottom of the screen and select Create New. Next, select the Appointment icon to add a new appointment. 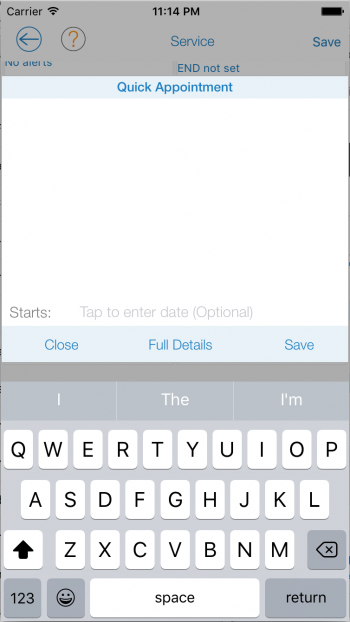 Type in the title/comment of the appointment as well as an optional start date. Tap on the Save button to save the appointment. 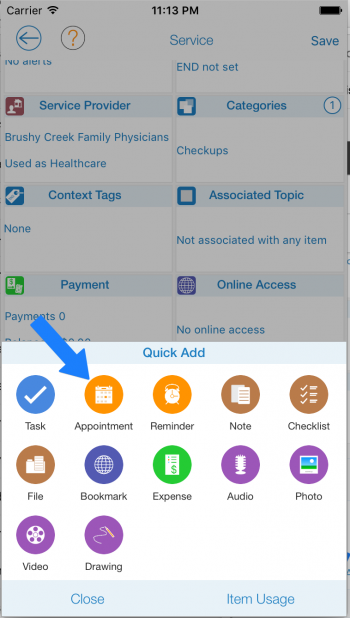 Existing appointment will show as an appointment icon with a badge count indicating the number of appointments created. 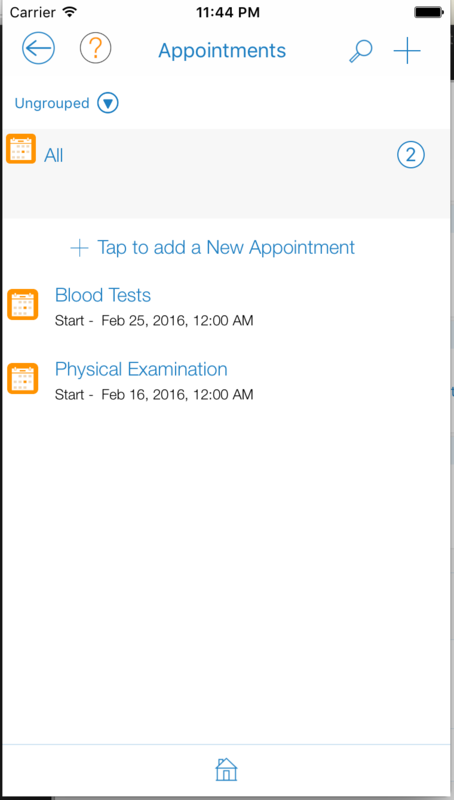 Tap on the icon to see all the appointments related to your physicals. 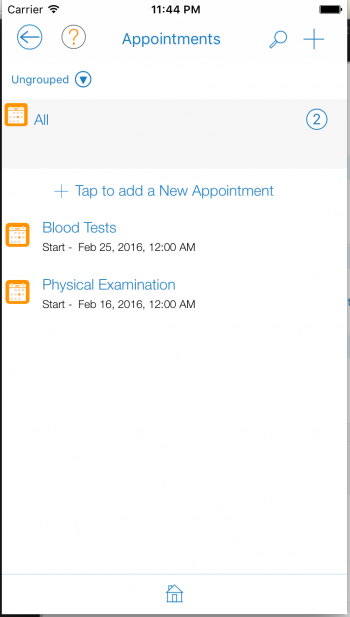 After the appointments are created they will appear in your calendar views.